Growing up you could always find me sneaking a spoonful of cookie dough while baking chocolate chip cookies…. What could be better than eating cookie dough? Oh yeah, cookie dough en-robed in dark chocolate. It’s also nice that these are egg and of course gluten free. Super easy to make, you really can’t mess these up! Even your kids could make them! Stir together butter and honey. Shape into balls, should make about 20. 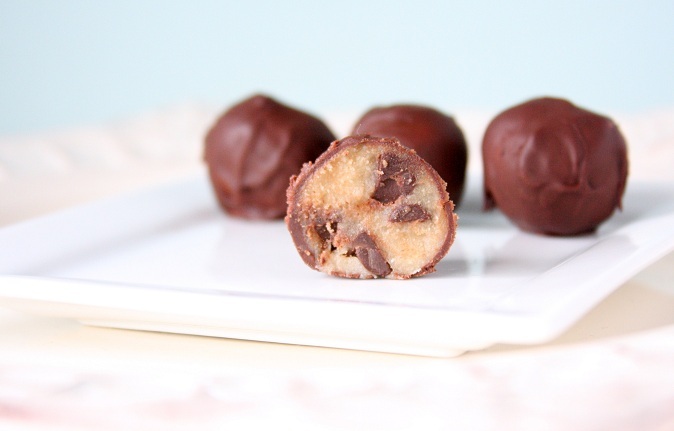 Place cookie dough balls in the freezer, for at least 30 minutes. Meanwhile, melt 1/2 cup chocolate chips with 2 teaspoons coconut oil. Here is my method for coating the truffles. Place about 1 tablespoon of the melted chocolate in the palm of your left hand. Then with your right hand, gently roll the cookie dough ball in the chocolate in your palm, just until lightly coated. Then place it on a parchment lined cookie sheet. Continue until all truffles are coated. Place cookie sheet in the fridge to set. 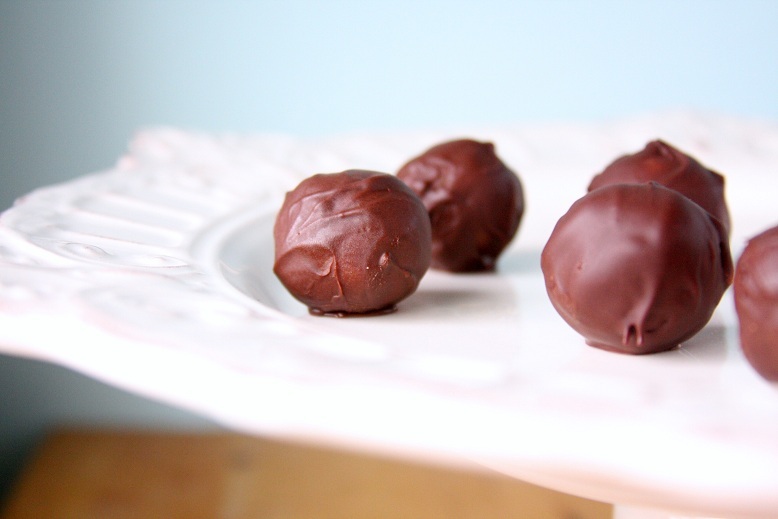 Store cookie dough truffles in a sealed container in the fridge up to one week. Or keep in the freezer up to 1 month. I’d also like to introduce you to the newest member of our family, Bobby the elf. This is our first year doing Elf on the Shelf. My kids are super excited and are loving it. For those who are not familiar with what I am talking about, it is an elf that is sent by Santa. He watches over the kids during the day and then every night returns to the North Pole and gives a report to Santa on the children’s behavior. Then the fun part is, in the morning the kids are to go and find where the elf is hiding. But there is one rule they must follow. No one is allowed to touch the elf, or he may lose his magic. You also get to name and adopt your elf, and can receive a letter from Santa. My 1 year old is actually the one who named him. She kept pointing and saying “bobby, bobby”… she was actually trying to say “barbie”, but we all thought it was too cute, so the name Bobby stuck. I’ll be sure to attach any interesting places we find Bobby over the course of the next few weeks. 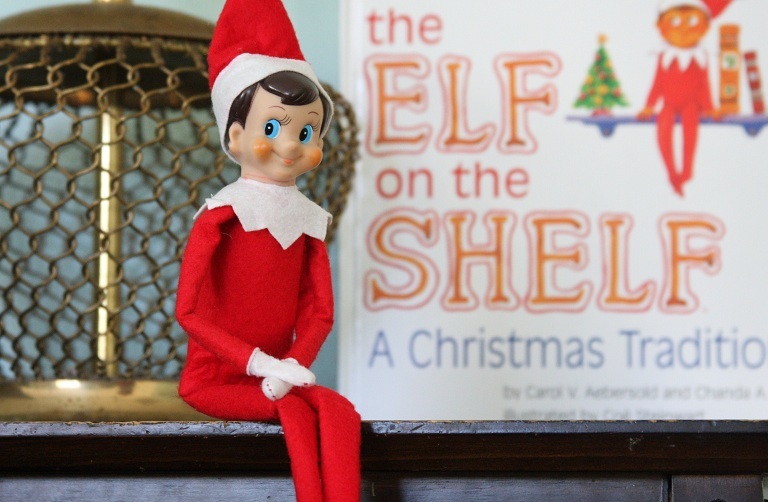 Do any of you have an Elf on the shelf?? I would love to hear some of your stories. Please share in a comment below. I hope you all are getting into the holiday spirit! 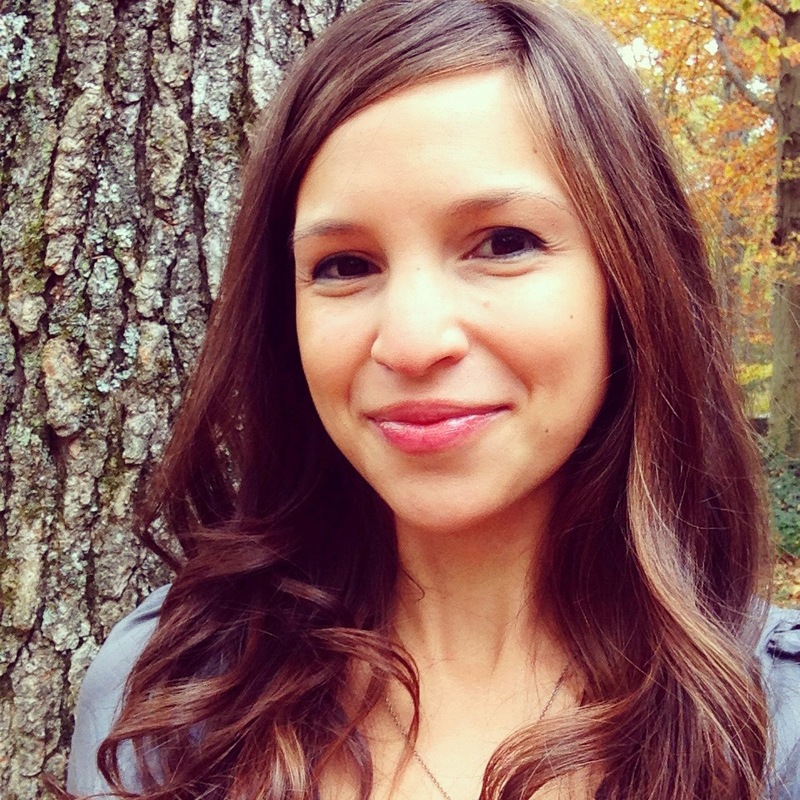 This entry was posted in Gluten Free, Life and tagged gluten free, grain free, paleo. Bookmark the permalink. Michelle, you never cease to amaze me with your creativity and ingenuity. I love the traditions that you’re posting with the recipes too! Keep it up hon, you know I love your work! Can’t wait to try these for a chocolate fix. I can’t thank you enough for healthier alternatives for fellow chocolate ADDICTS. With every day that passes reading your blog and seeing your facebook posts, I am encouraged and uplifted. Being GF is tough (2.5 years now). Seeing your sunny smile and being inspired to bake and cook again makes me happy! Thank you so much, Michelle, for making GF my “new normal” without feeling like I am losing ANYTHING!! I can’t wait to start baking with almond flour! Now that I have a sub for graham crumbs I have a few favourite recipes I look forward to experimenting with! Maybe I’ll get to have my favourite Christmas cookie again this year…yum yum! Well I did it! I made the Christmas cookies my mother made for our family since I was a little girl, only GF, and they turned out better than I ever imagined!! They turned out so great that my co-workers have even been asking for the recipe. Until finding your web page, I had no idea what to sub for graham crackers – THANK YOU!!! Mix together all the ingredients. Roll into little balls, then roll in coconut to coat. Chill in the fridge on a cookie sheet. Freezer wrap and freeze (they freeze really well). If the balls are about 1 tsp in size, the yield is 96. (When I made them I got 46 but they were bigger!! These are very sweet so you may want to use unsweetened coconut or make them smaller – live and learn). Now this was always an heirloom, super special recipe for our family (among several other Christmas cookie/bar recipes). To be able to make it again and with such a positive result thrills me because my beautiful mother is in hospice care this year and we know it will be her last Christmas. Not only will my dad have traditional cookies this year, but maybe this tradition can be started in other families where the need to be GF challenges our holiday baking tradition. Merry Christmas!! So what if one not only has to be gluten free – but also no tree nuts or peanuts? Can you use rice flour? You could easily use any gluten free flour that you have on hand. However, I don’t have an exact measurement for you, because almond and coconut flours work much differently than other gf flours. You would just have to add enough until the texture seems right. Because there is no baking involved, it’s not necessarily a science and it should taste good no matter what :) Let us know if you experiment with another flour. The thought of raw gluten-free cookie dough threw me off for a minute but I love that you use almond flour. It has such a better flavor than most other flours out there. These seem like a really fun dessert idea. I think an elf on a shelf is a cool idea. Maybe that’s what I need to keep my little weasel nephew from his daily mischiefs. Ah ha! Again, responsible for the extra traffic :) Thanks Andres, and you should definitely get an elf for your nephew! I have been enjoying your blog for sometime now and had to comment when I realized that we posted the same concept (different variations) at about the same time. I look forward to trying your version using coconut oil with the chocolate since they seem to have a lighter shell in the picture than mine which use all chocolate resulting in a slightly excessive shell! Thanks for sharing your great recipes and creativity over the past year with all of us. These look amazing! I can’t wait to try them. Can I use Almond MEAL in place of the flour? Not sure if it is the same thing or not! Almond meal is almond flour, but the skin has not been removed. Therefore it is darker in color and not quite as smooth in texture. It works great in certain recipes, like crusts and cookies. However for the best results in cakes and recipes where a lighter texture is desired, it is best to use blanched almond flour. But since this is not actually “baked”, almond meal will work just fine! I made these and did not dip them in chocolate. I put a container of the rolled balls in the freezer and they are eaten as a safe cookie dough snack. Yup, they are that good! Thanks Michelle! You are amazing and I enjoy you blog. I’m making these for the 2nd time for a party tonight… they did not last long in our house of two people the last time. I’ve used almond meal both times, since that’s what I have on hand, and I notice that it takes a lot more meal/coconut flour to get the dough to a consistency that you can roll… does the finer almond flour just absorb more liquid? Or do you wait for the butter to harden up? What can I use in place of butter?? These are so good! I put about a TBS of blackstrap molasses into the measuring cup before filling it the rest of the way with honey… I missed the brown sugar taste. It turned out great :-) Thanks!